There are few things stronger than a mother’s love her child. For one cow in southwest India, that unshakable bond seemingly transcends even death. Four years after a bus killed her calf in a traffic accident, a cow in the country’s Uttara Kannada district stills visits the spot where her child died every day, India’s Public TV reports. 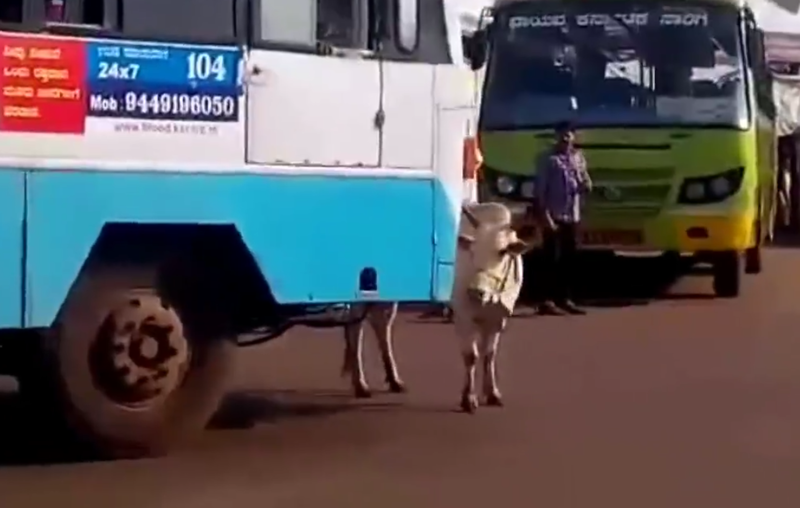 She waits for the very bus that took her calf’s life, blocking the vehicle and following along its side, according to the news station. It is only that particular bus that the cow stops and chases. She does not disturb any other vehicles. 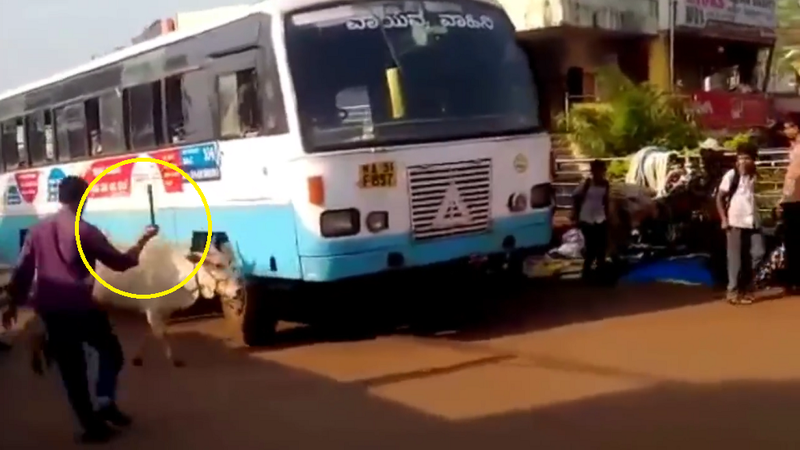 The driver has tried multiple tricks to get rid of the animal and even repainted the bus entirely but the cow continues to track him. The cow only stops the driver from speeding and goes back to her original spot once the driver has crossed that particular path where the accident occurred. People even chase the cow and threaten it with sticks but she continues undeterred. While information about the cow is limited to the few details that have been reported by the Indian press, the story is surely all too vivid for anyone who’s lost someone they’ve loved. 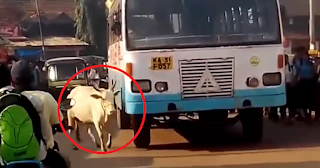 Watch the video of the cow escorting the bus safely across the road.